For more help with downloadable media, visit Overdrive Help or browse past posts on our blog. Get started with ebooks today! Hi Mey - It sounds like you are trying to use our Freading service. That's the one with tokens. Essentially, all Free Library card holders receive 2 tokens to use on Freading ebooks each week. A full explanation of how it works is found here: http://freelibrary.freading.com/questions/index Our other ebooks service, Overdrive, does not use the token system. Get started with Overdrive here: http://search.freelibrary.org/digitalmedia.cfm If I've misunderstood your question or if you're still having trouble, submit a help request at our Ask a Librarian page (http://libwww.library.phila.gov/faq/eref.cfm) and I will work with you more that way. Thanks! Hi Giovanna - Our ebooks can be used on both Nook tablets (as well as all other Android devices) and Apple iPads and iPhones. See the links in the post above for decive-specific instructions. If the Free Library doesn't have an eBook version of a title, is it possible to request that one be purchased? If so, what is the likelihood that the request will be granted? I have an ebook checked out to my kindle that is due to expire in a couple of days. I am not finished reading it, and would like to renew the loan. How can I do that? Thanks. Hello Jerry - ebooks are not renewable in the traditional sense. You can check your ebook out again as soon as it expires though. However, the catch is that our ebook collection is so popular that there will likely be someone else on the waiting list for the book and they will get it when your loan expires. So unless no one is waiting on your ebook, you may not be able to check it out again right away. This is not very different from a print library loan though. You cannot renew a print book that someone else has on hold either. Thanks! can Ebooks be sent to home computers? Hello al a, Sure. You can download our ebooks to your home computer. You will need to add the free Adobe Digital Editions software first though. You can find that here: http://goo.gl/7h9F9. Then, browse our collection and checkout your ebooks in EPUB format. Also, most ebooks in our Overdrive collection can also be read in your browser. There is no need to download the title at all. For that option, just select, 'Read In Browser' after you checkout your ebook in Overdrive. Thanks! Hi looks good to a novice here. just got new Laptop an it can upload (as grandson would say to my computer)so I can read on my kindle.Look forward to learning this, an using the new technology. I've recently started using Overdrive to get library ebooks for my Kindle and computer. I can return Kindle books "early" via Amazon's Manage My Kindle page, but I can't figure out a way to do this with EPUB books. Is there any way to "return" or "delete" an EPUB book when I'm done with it, before the expiration date? Thank you! Hi JJ - Good question. EPUB books need to be returned from whatever software it is you're using to read them. For example, if you're using a Kindle Fire you might have installed the Overdrive Media Console App from the Kindle App Store. In that case, you would return EPUB ebooks in the app. If you are using a PC and downloading ebooks using a Adobe Digital Editions to mangage your ebooks, you can return them from within Digital Editions. I hope this info helps. If not, click the Contact Us at the top of this page and send us an email for more individualized help. Good luck! IF I were to get an out of state card. Will I be able to use overdrive for ebooks? Hello Manuel - Sure. All Free Library cards have the same access to our resources. Thanks. I am using a Chromebook now and am a novice at using the Cloud primarily, rather than a full hard drive for my files. I believe I need to be mindful of the size of the files I download on my download drive (something like 9 KG). How large is a typical adult ebook file--say, 400 pages? Also, what are the advantages/disadvantages of downloading versus just browsing? Is it only useful if moving between devises? Can I put a book on a Flash drive for browsing without downloading? Excited about the possibilities, but a bit confused. Thanks. Hello Brenda - thanks for writing and I'm glad to hear you're interested in our ebook services. An average file size for an ebook is about 1 MB. However, since you indicated that you will be reading on your Chromebook, the best option for you might be to simply use Overdrive's in-browser Reader. Learn more about it and how to use it here: http://goo.gl/XyNr7W. This will avoid any issues with file sizes and storage. As to your other question, while you can technically save an ebook file to a flash drive there would be a host of issues surrounding the Digital Rights Management (DRM) on the file and your Adobe permissions if you moved it from one device to another. It would likely be easier to avoid that option. Try checking out and reading an ebook with in-browser reader and if you run into trouble contact us directly at: http://libwww.library.phila.gov/faq/eref.cfm. Thanks! I have a Nook Simple, how can I return a book? Is there a way to text/take notes and save for review after I have returned the book. David W: I don't work for the Free library, but I believe it depends on your device. For Kindle e-readers, you need to have the book on the device to access the notes menu. I know that Amazon keeps them in the cloud so that you will always have them if you get the book again, but it doesn't look like you can review them unless the book is on the device. More generally, I love that the library has embraced e-books. It allows them to maintain their mission while adapting to a more electronic younger generation. While the selection is huge, there are some more lesser-known books I'd like to see, but I realize that's probably in the hands of the publishers. Do I need to wait until I receive my library card to use the ebook service? Is there any way to find out my card number now so I can access ebooks through the Overdrive app? I read e-books from FLP using Overdrive. I recently read that the 14 day borrowing period that began some months ago had been changed back to 21 days, but when I check out books, they're still being charged out at 14 days. What is the current policy? Two weeks can be challenging for some books/readers! How do I get started downloading e books. I was downloading a library book on my amazon account and lost internet connection. when I refreshed, the book was not on my amazon account but my library acct says I borrowed it. I was on a waiting list for this book and don't want to wait the 14 days for it to return itself and be put on a waiting list again. Is there a way to force a return so I can download it without having to wait again? Hello Lisa - sorry to hear that you're having trouble. This issue is likely too involved for us to fix over the blog. Please send us an email at the 'contact us' link at the top right of this page. Provide your library card number, the name of the ebook you're having trouble with and any other relevant info. Thank you. Hello Genie - I am not entirely sure I understand your question, but if you're looking for the OneClick Digital audiobook service, yes, we do offer that. You'll find a link on our Digital Media page - http://search.freelibrary.org/digitalmedia.cfm - If this is not what you're looking for, please send us an email using the 'contact us' link at the top of the page. Thank you. I received a Kindle Fire for Christmas. Can I get ebooks or audible books from the free library on my Kindle Fire? Hi Mary - yes you can use library ebooks for your Kindle. If you have a Kindle Fire or HD, you can also use our audiobooks. However, the e-ink Kindles (like the Paperwhite) are not compatible with library ebooks. You'll find a link to our Overdrive collection here: http://search.freelibrary.org/digitalmedia.cfm. You will also find set up and help information for your Kindle here: http://help.overdrive.com/customer/portal/articles/1481729-getting-started-with-overdrive. Thanks! How do ebooks from overdrive work? After the 14 days of what happens if I don't return the ebook? Is there a penalty involved or does it just simply disappear from my tablet? Hi AJ - that's exactly right. At the end of your loan period (you can chose a 7, 14, or 21 day load in the settings tab at your Overdrive account) your file will expire. There are no late fees. The file on your device will become inoperative and the ebook will be free for someone else to check out. Thank you. Why are a lot of the new ebooks only being purchased in the epub format? 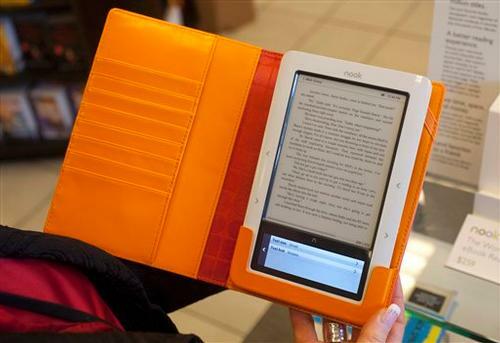 I have a kindle and nook so just wondering if this is all you will purchasing in the future? Hello Bonnie - Thank you for your question. We do not purchase ebooks by format. When the library licenses a title, we get it in every format the publisher offers to libraries (Kindle, EPUB, Overdrive READ, Open EPUB, etc.). If certain titles are not available for Kindle it is because their publishers have chosen not to make Kindle versions available to libraries at this time. I hope this explanation is helpful to you. Thank you. Can you add Maximum PC magazine to the online Zinio collection? Very basic question. If I get a Kindle and am interested in reading a book, is there any charge for downloading and reading the book from the Free Library? I find that Overdrive doen't work on my first generation IPad. Is there a part of the ebook collection that I can access? Hello Joanne - Unfortunately, a first generation iPad has the Apple 5.1 iOS and does not support the Overdrive app (iOS 6.1 required) or the Overdrive READ format for in-browser reading (iOS 7.1 required). Sorry to disappoint. You can still read Overdrive ebooks on a desktop or laptop PC or Mac though, if that's an option for you. Can you add Maximum PC and PC Gamer magazines to the online Zinio collection? Can I donate my Kindle ebooks to your library? I own a lot of novels in the ebook format. I am not a person who reads a book over again so they are just sitting. I lost my library card, so I got a new one on Friday. However, when I went to sign in on OverDrive, my account is showing that I have no ebooks out or on hold - which I did prior to switching to a new library card. How do I fix this? Hi Lauren - we can fix this for you. However we need your library card and account information to do so. Please get in touch through the Contact Us email link at the top right of this page. That way we can work with you one-on-one. Thank you. The newest editions of Maximum PC are not yet available online on Zinio. You are 3 issues behind. When will the new issues be available? Thanks for letting us know about Maximum PC. We are working with Zinio to get this corrected. How many ebooks are you allowed to check out? Hello John - each Free Library cardholder may checkout up to 6 ebooks/digital audiobooks from Overdrive at one time. Thank you. I would like to know if there is a senior citizen discount for out of state residents? I'm 70 and on a fixed income. Can't log in to EBSCO Host database. Assisted at my branch to create a user ID and password, but EBSCO will not accept them. Hello Adrian - sorry to hear you're having trouble with EBSCO. It is difficult to troubleshoot on the blog though. Please send us an email using the Contact Us link on this page and we can work to get this sorted out. Thank you. What does the "automatic download" mean in my Overdrive account? Do I have to click on the e-book, or will it auto appear on my Kindle? Will I be notified that the e-book is now available? How do I Sealy return an eBook from my kindle fire? Thanks!